We’re thinking it would be nice to find some small awnings to mount above them as fixtures. This window took another five hours to cut, mostly because of how close the inner and outer wall panels are to each other. That, and because my 6″ Milwaukee Hole Dozer seems to be be wearing out after only 16 holes, now preferring to leave a groove rather than a clean, round hole. So with eight windows to go, that means I’ll need to buy four more hole saws at $40 a pop. 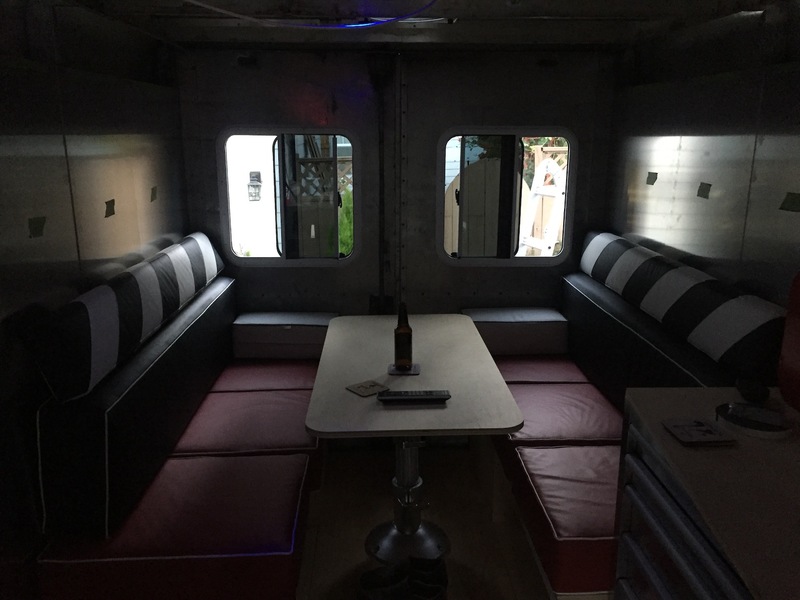 And here’s the view from inside the RETROvan. The windows provide much-needed natural light and ventilation. 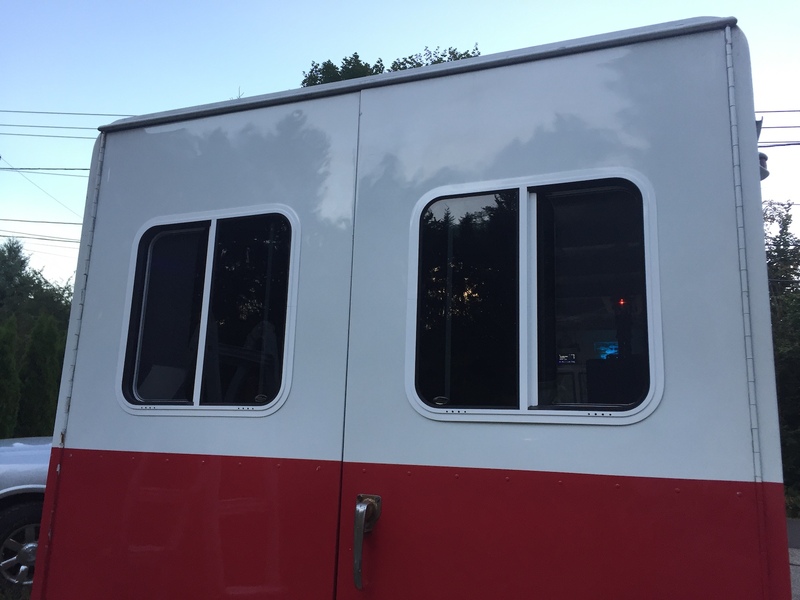 I have decided I’ll need to insert a 1-1/8″ wooden frame around these windows to keep the aluminum panels at a consistent distance apart. It looks like I can install one window every two days, based on how my back aches after doing this up on a wobbly ladder. But I’m hoping the side windows will be easier because I won’t have the wall-thickness problem. But I will have a different problem: The fact that the inner wall panels have to align across a 3-1/4″ wall cavity, leaving little room for error. But at least I can cut them flat on a table before screwing them in place.